A few meters from Acrothea Apartments (30m. ), next to the port is the small beach of Ormos Panagias. 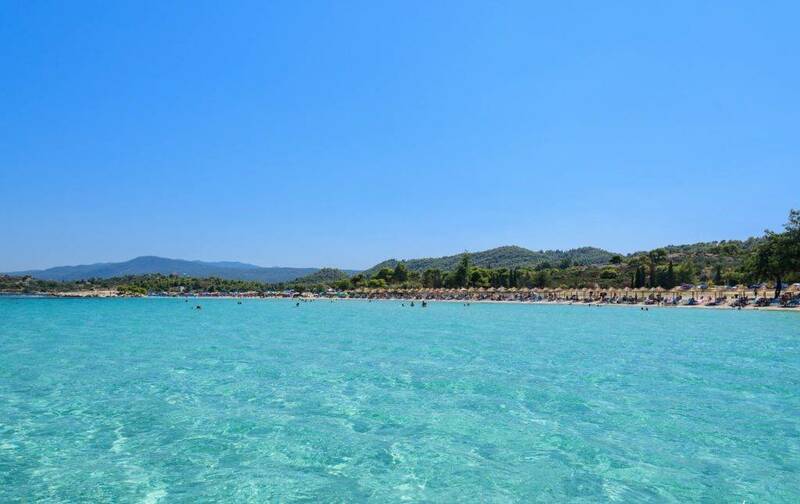 Ormos Panagias is excellent as a starting point for a tour of Sithonia, because the beaches both on the east and west coast are easily accessible. 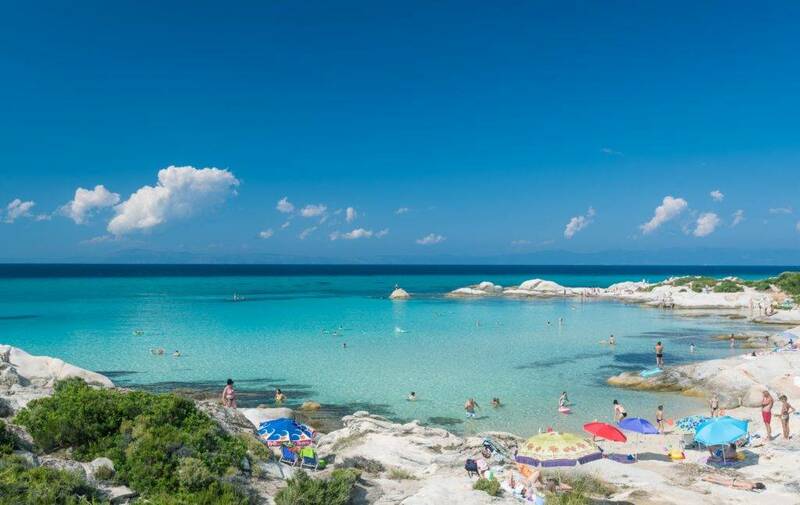 Above all, in the Ormos is one of the most beautiful beaches on Sithonia, mentioned Trani Ammouda. 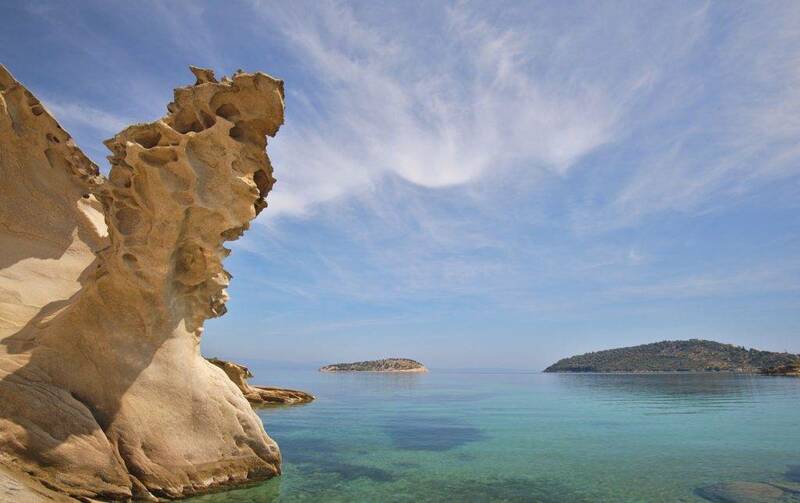 Lagonissi is the pearl of Sithonia and very popular beach with beautiful turquoise sea and from Ormos is only 2km away. Talgo, a very popular beach for the young population is only a kilometer after the Lagonissi beach and 3km away from Ormos. 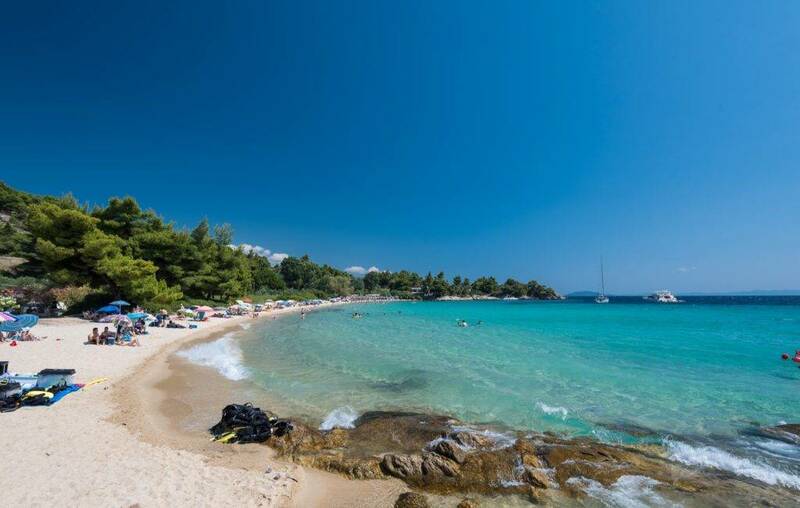 Next beach which is certainly among the top 5 beaches on Sithonia is called Karidi and is located in Vourvourou. From Ormos is only 11km away. The beach is a paradise for families with children. A mile away, also in Vourvourou, there is a beach Fava, perfect for those who love wild and beautiful beaches with gradual depth. 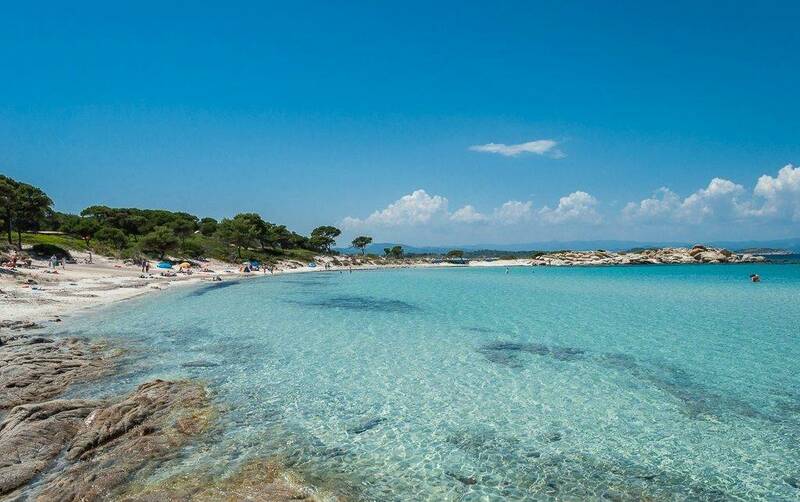 On the stretch between Vourvourou and Sarti there are numerous beaches and if you are adventurous and like to explore, you can find the one that suits you best. Most of the beaches are far away from the main road. The ones that we would be allocated are: Zografou, Bahia, Rodia, Oneirou (Manassou) and Armenistis. The famous Orange beach is about 30km away from Ormos, and a few hundred meters before it, it’s Mega Portokali which is equally beautiful. Orange Beach is the best beach on Sithonia, according to many. If, however, from Ormos you go to the west, after 5km you will come across to Nikiti. This town is great for evening walks, but also for supply because it contains 4 large supermarkets of known chains. 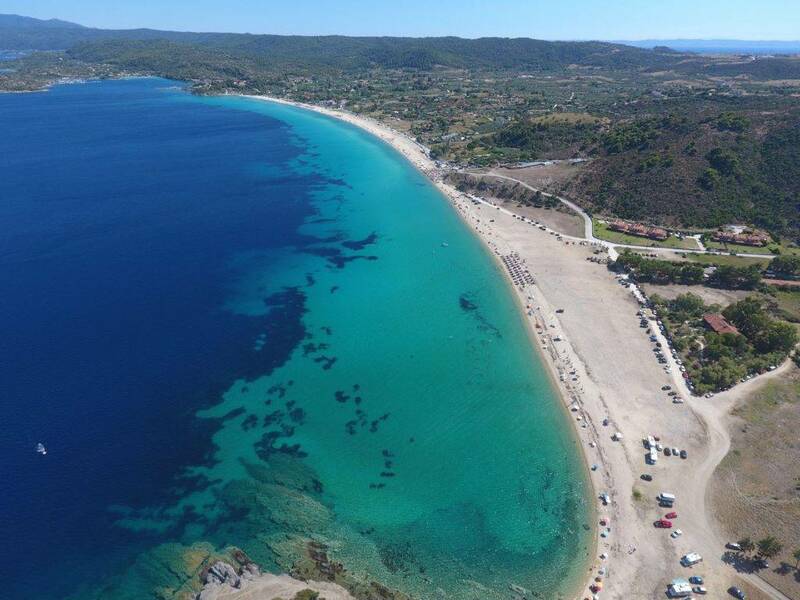 If you go further to the west at 11km from Ormos is a beach Agios Ioannis, which is one of the best on Sithonia, are Koviou (6km), Kalogria (7km) and Spathies small and large (8km). 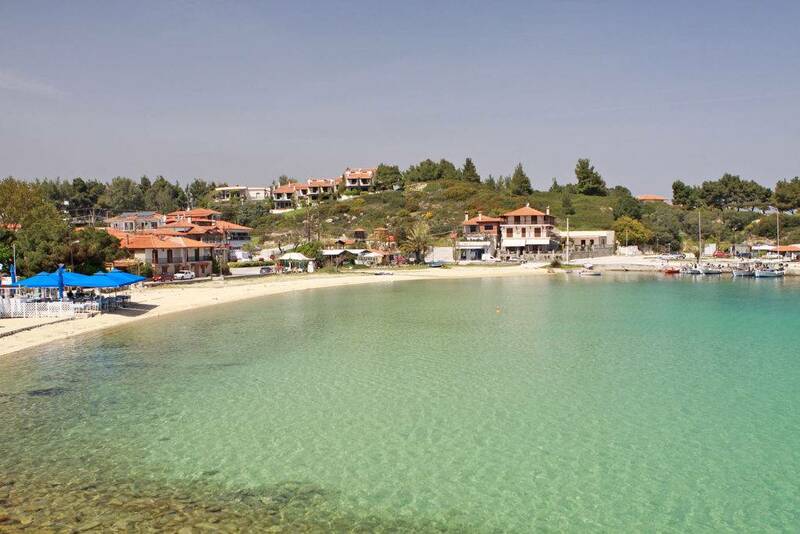 Koviou and Kalogria are in the top ten most beautiful beaches of Sithonia. Neos Marmaras is 25 km away from Ormos and you can visit it in the evening to feel the atmosphere of a very lively and popular summer resort of Sithonia. Apart from Nikiti and Sarti that you can visit in the evening, we recommend you to visit the traditional village of Agios Nikolaos which is only 4 km from Ormos Panagias. Be sure to stop by in Agios Nikolaos to enjoy a pleasant atmosphere on the picturesque square with the locals. 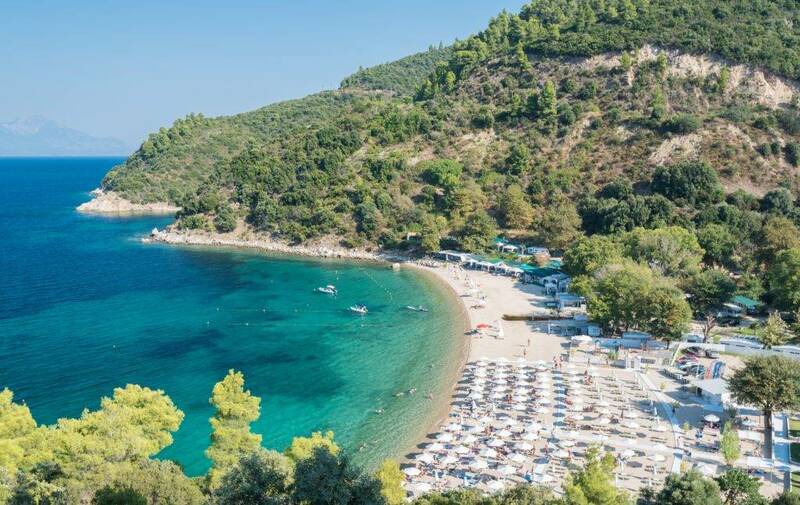 Ormos Panagias is a small fishing town for a very quiet holiday, but it’s in a great location for visiting almost all of the most beautiful beaches on Sithonia.